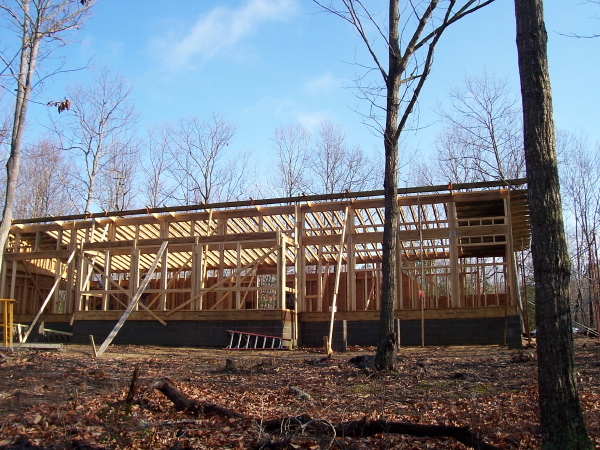 A few new photos from the owner of the Virginia Plat House show the wall and roof sheathing beginning to go up. He reports that it is all up at the time he forwarded these new photos. A few more photos of this stage of the work were included and can be seen at the flickr set for this project. Drop in on the LamiDesign Flickr photo pool to see all the photos that we and others have posted of our house designs under construction.